“We are delighted to be launching the C48 alongside our new SC42, the second new model for 2011 and an important part of our investment strategy of creating eight new boats in three years. 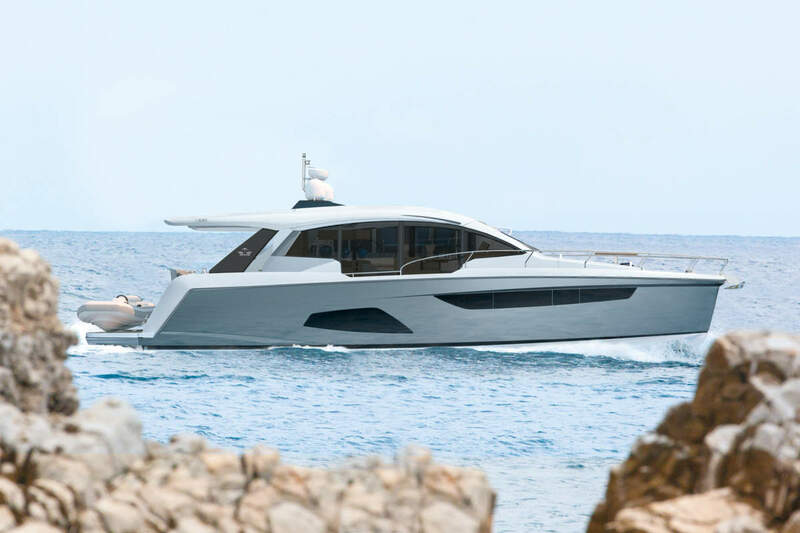 Continuing Sealine’s unique approach to luxury, modern design, this new coupe has many innovative features. 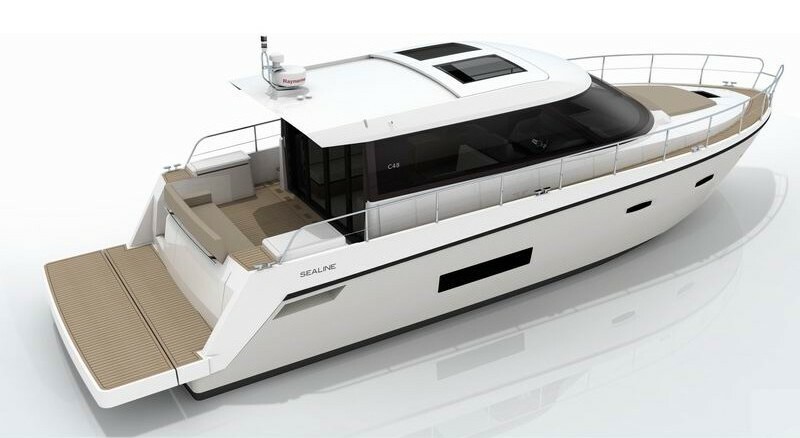 With its temperature controlled environment the C48 is ideally suited to a number of boating regions including the Mediterranean, Asia, the Middle East, North America and Scandinavia” commented Chris O’Connor, Sealine’s Managing Director. 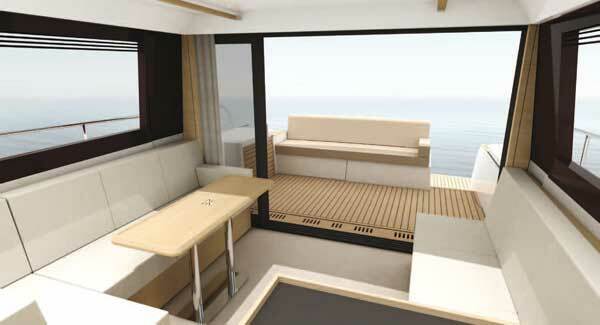 The Saloon has a large L shaped seating area plus three stools, to allow six to relax and dine in comfort. There is a removable table which can be transferred to the aft cockpit, along with the stools, to provide alfresco dining for six. An integrated wet bar, grill and barbecue, plus a sink with hot and cold water, are provided for easy outdoor entertaining. The raised helm has four individual sports seats. There is a folding chart table and plenty of storage. The large wrap around windscreen provides stunning panoramic views. On the port side there is fully fitted open plan galley complete with fridge, integrated oven and hob and enough space for a washing machine and large refrigeration unit. The light and airy forward cabin is extremely spacious with a double bed and TV unit located opposite. There are separate ensuite shower and toilet compartments plus plenty of stowage. 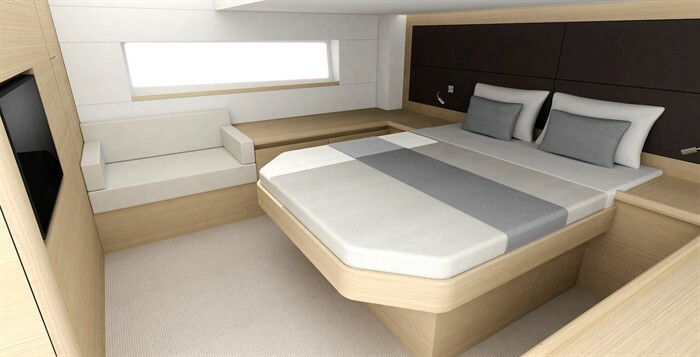 Due to the position of the forward bulk head, the midship master cabin has full headroom across the width of the cabin with a comfortable walk around area and panoramic hull windows. Two full length wardrobes offer generous space and there is an en-suite with a separate shower cubicle. The third cabin has two bunks and lots of storage. The interiors have been finished using a natural light oak. For keeping cool in the cockpit an optional electric sunshade can be added. There is also an optional hi-lo platform system capable of deploying a large tender system. 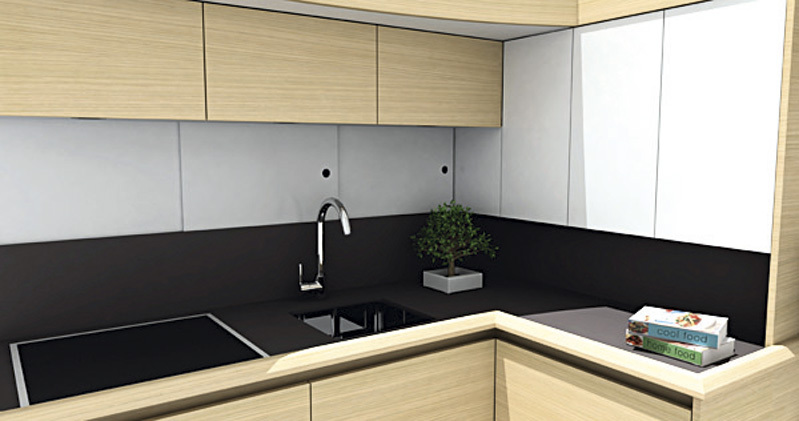 Generous storage includes a large lazarette which can be converted into a crew cabin if required. An optional electrically operated passarelle provides easy access to and from the boat. 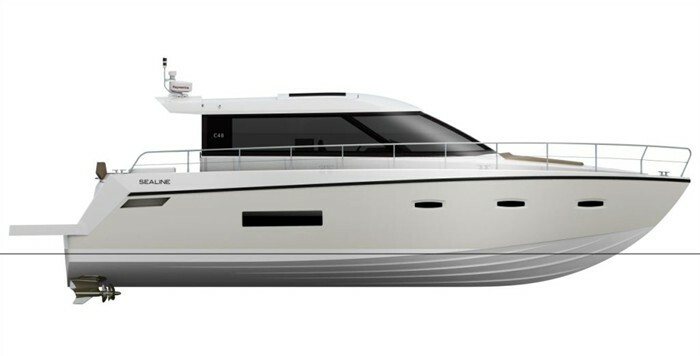 The hull is based on the proven SC47’s hull design and is fitted with Volvo’s IPS 600 pod drives with joy stick control. When compared to traditional stern drive models of this size, the C48 can offer fuel savings of between 25- 35%. The C48 will be priced from £392k excluding VAT and is sure to be one of the star attractions at this year’s PSP boat show. 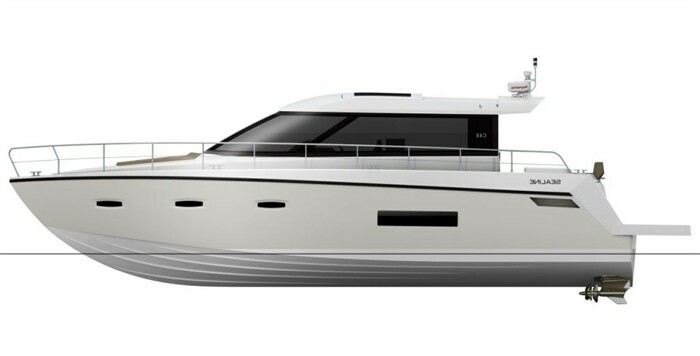 Great looking boat and seems like sealine have made a well designed sports cruiser. would like to say more but if you do go to see this boat at the southampton boat show you will quickly realise how unprofessional the sealine staff are who would rather ignore anyone that would like to admire their new boat. their loss i say.